A Kyrgyzstan academic delegation visited National University of Medical Sciences (NUMS), for evaluating the possibilities of establishing contacts in the field of Medicine & Allied Health Sciences on 28th March 2019. The Vice Chancellor NUMS Lt. Gen Syed Muhammad Imran Majeed, HI (M), briefed the delegates on NUMS mission and vision and shared his valuable thoughts on topics of common interest. 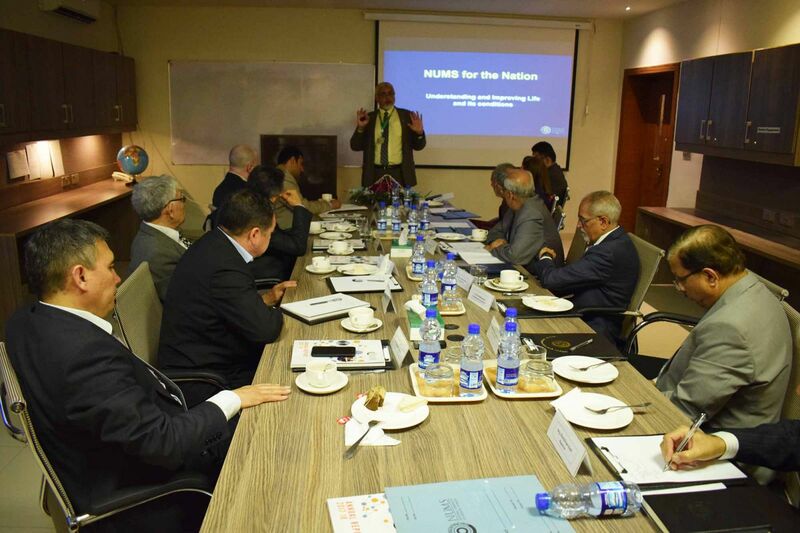 Pro Vice Chancellor NUMS further briefed the delegates about the vision, mission and role of NUMS in the Healthcare sector of Pakistan. He highlighted various possible avenues of collaboration with Kyrgyzstan including, joint workshops/seminars, electives for students, examiners exchange program and joint academic degree programs. 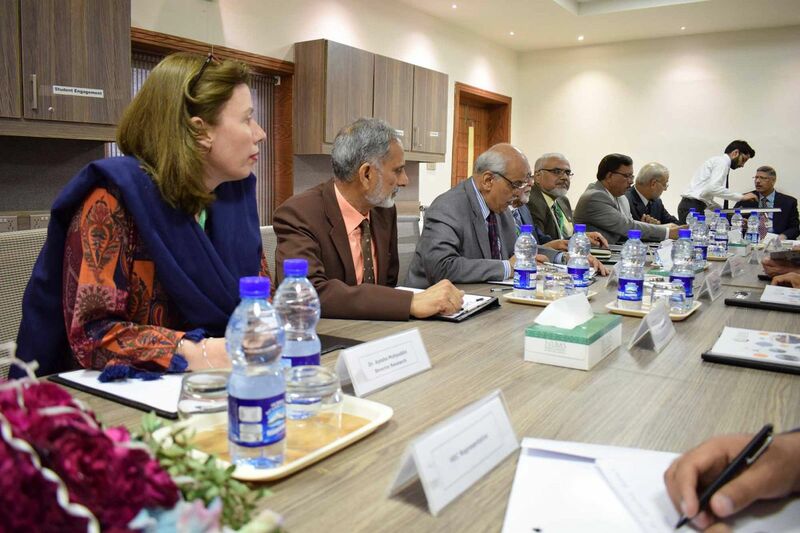 Moreover, they were also briefed about existing core areas of research at NUMS, including the planned animal facility, bioinformatics, genomics and genetics, cell culture, drug discovery and drug development, biotechnology, epidemiological research and possible areas of collaboration. 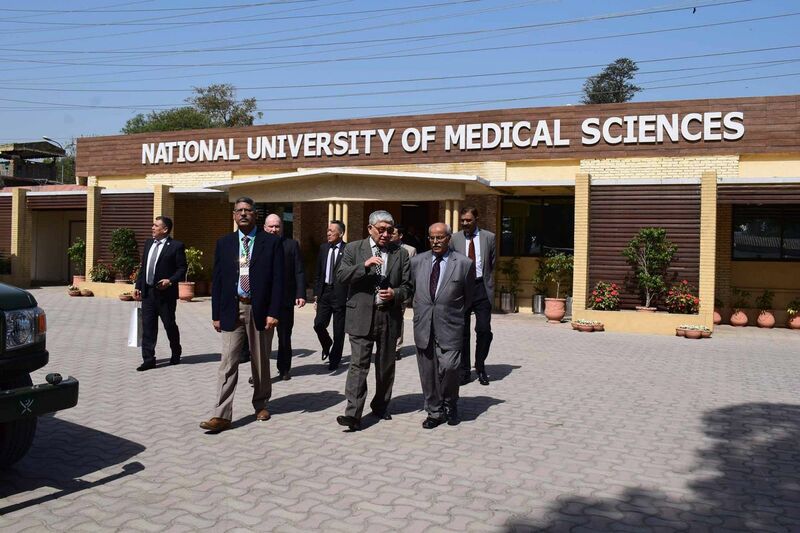 The quantum of work of the whole organization and a brief overview of NUMS upcoming endeavors in healthcare delivery system, NUMS Institute of Advanced Studies & Research (NIASR), Medical City to be established in Sector I-17 inclusive of potential for Medical Tourism was also presented. 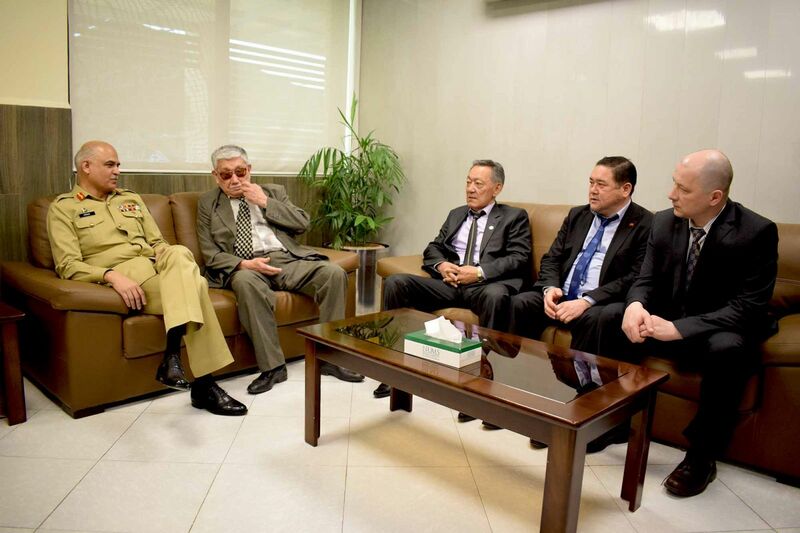 Dr. Asylbek Aidarliev, Chairman, Board of Trustees, International University of Kyrgyzstan expressed the desire for establishing joint Pakistan-Kyrgyzstan Institutes of Medical Sciences, Virtual Academy and accreditation courses student exchange programs. 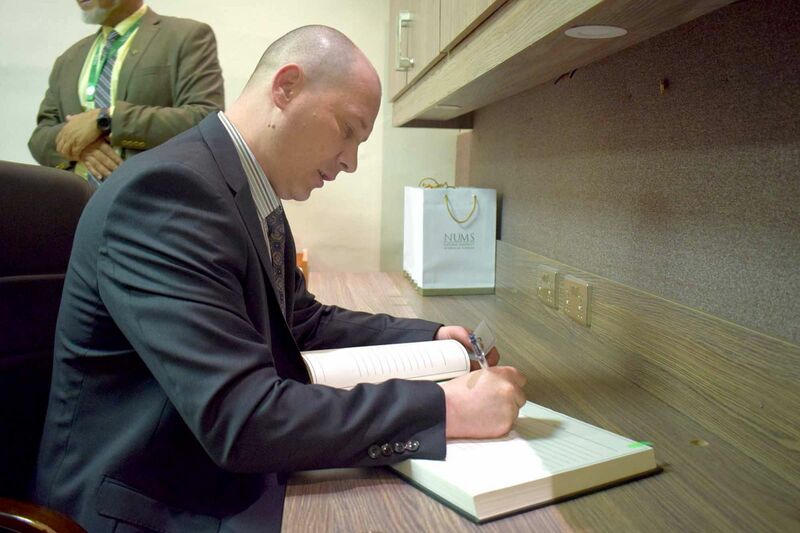 He also emphasized on the importance of Mountain Military Medicine and a desire for collaboration. The session ended with the hope of sharing further interactions with the academia of brotherly country of Kyrgyzstan.